I’ve always wanted to visit Scandinavia. I knew I’d get there at some point, the opportunity just hadn’t presented itself. Yet. Then during a trip to Napa Valley last June, there is was, right in front of me. After many, many glasses of wine my friend Rachel leaned across the bar and said “Kathy, you have to come to the wedding.” “Of course!” I replied, “I’m game for a road trip to Iowa!” She looked at me, dead serious, and said “No, it’s in Sweden. On Thanksgiving.” “Wait …what?” “Yep, Sweden. In the town my mother grew up in. 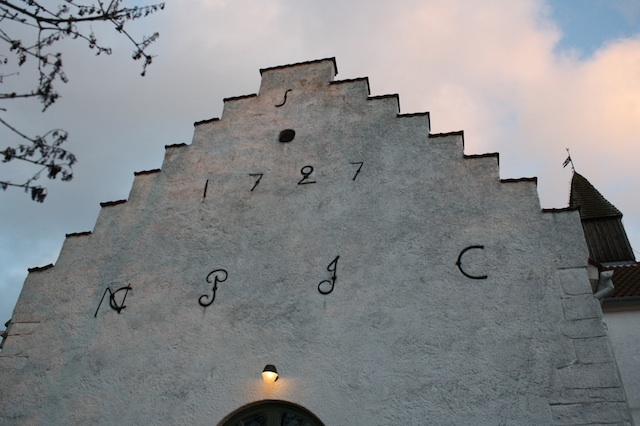 Höör.” And that my friends, is how I came to find myself in Sweden, in late November, in a curiously named town, in a tiny country church built in 1727 witnessing two friends tie the knot and enjoying a traditional American Thanksgiving dinner at the reception. You can’t make this stuff up. My friends and I did some traveling before and after the event: Copenhagen, Gothenburg, Stockholm and of course, Höör. I cannot recommend this part of the world highly enough – beautiful, interesting and done up with its holiday finery at that time of the year, it was fairytale pretty. Sure it was cold and the sun set at 2pm, but it was gorgeous. Throughout the trip, anytime I saw a bakery I’d stop in and pick something up, often several times a day. This is what I do. My friends may have been more interested by The Girl with the Dragon Tattoo tour; I was on the lookout for bakeries. Beautiful, delicious bakeries. 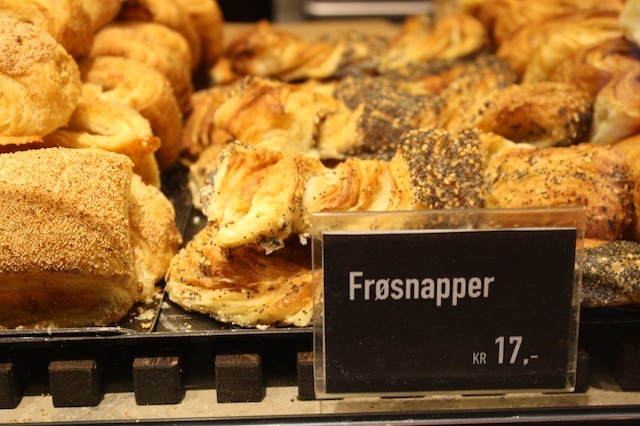 Luckily for me, Scandinavians like their pastries. It made my “research” fairly easy. 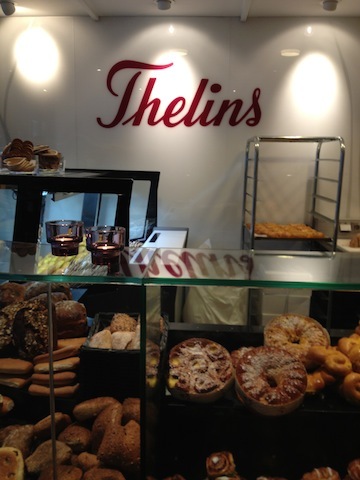 The bakeries were wonderful – the Danes leaned more toward hearty seeded breads and breakfast type pastries (they are called Danishes after all); crisp, not overly sweet and great with coffee. And how could you possibly resist ordering something called Frosnapper? The Swedes had fairly similar items but also rather elaborate dessert type concoctions, usually draped in brightly colored marzipan or rolled in chocolate shavings. These are my people! If only they weren’t so tall and fair, I could pass as one. 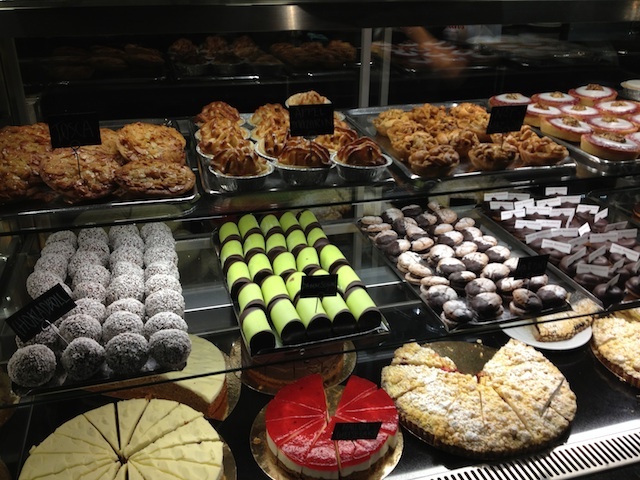 In Sweden, there was one particular pastry I came back to again and again. It was a type of breakfast roll, with a swirl of cinnamon, a smidge of pastry cream and a generous sprinkling of the ever-present pearl sugar. But there was something else, something almost savory within. The first time I purchased one, I didn’t eat it right away, rather tucking it into my bag for later. My friend John got one too, and digging in right away, said there was something he couldn’t identify. Tasted almost peppery, in his words. I tore off a piece … ah, cardamom. Of course. The ubiquitous baking spice in Sweden. Cardamom is a very fragrant and distinctive spice, common in Indian cuisine and what gives chai masala (tea) it’s distinct flavor. It’s also found in a lot of Middle Eastern sweets and is used frequently in Nordic baking. It’s mainly grown in Guatemala and India so I find it curious that it’s so popular in Scandinavia, but it is. You find it everywhere, mostly in baked goods but then these Nordic folks are big on the spice – ginger, cinnamon, cloves, allspice and yes, cardamom. The flavor is interesting … spicy, almost peppery and intensely aromatic when freshly ground. You can purchase it ground, whole (green, white or black pods) or with a little effort, in seed form. Upon my return home, I was sort of haunted by that roll. When you eat the same thing for nearly two weeks and then suddenly it’s gone, there’s a void that needs to be filled. So I set about figuring this one out. It took a few tries but this is pretty darn close to the rolls I enjoyed from the Stockholm bakery near the metro stop, Thelins. The dough is a relatively simple bread dough, rich with eggs and a bit of butter and spiced up with the addition of ground cardamom. 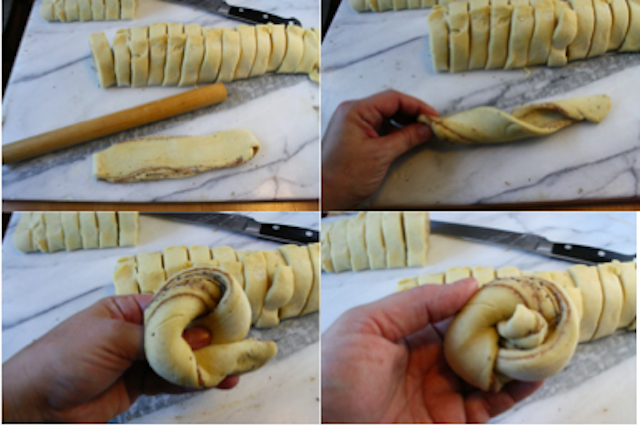 The shaping technique is a bit unusual: after rolling the filled dough into a log and cutting into discs, the pieces are then flattened into strips, rolled long and flat, twisted and tied into a loose knot. It looks more complicated than it is and gives the buns the distinctive look, evenly distributing the slightly pungent filling through out the roll. I like a little pastry cream piped into the center and topped with a sprinkling of the filling mixture and some pearl sugar. Pearl sugar is seen frequently on baked goods here and I rather like it as a topping – crunchy, sweet, rather pretty. I had a box on hand because my friend Trish tried to buy sugar for the morning coffee in our rented Stockholm apartment and not understanding Swedish or packaging or baking, brought this home. She was afraid she had bought pretzel salt. It worked fine for coffee but I made sure to tuck the box into my suitcase for the voyage home. Sources for pearl sugar: find it at IKEA or online at King Arthur or Amazon. STRESS BAKING THERAPY FACTOR: ARE YOU KIDDING? Wandering about a fairytale city, all lit up and decorated for Christmas with my wool hat and gloves, a warm cup of steaming glögg tightly held and a sweet roll tucked into my pocket, I felt like a kid. A very lucky kid. 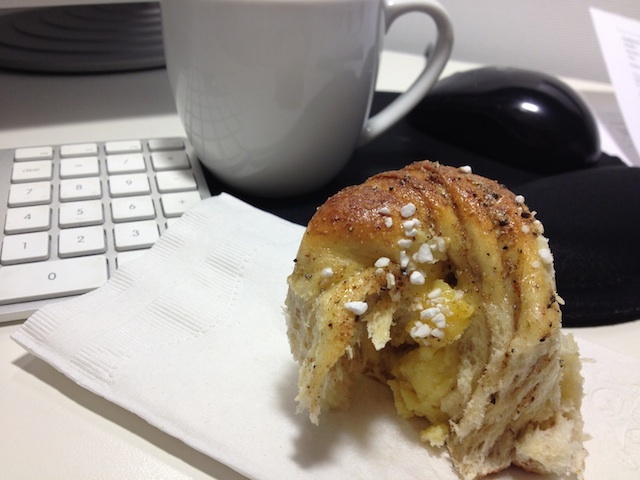 Biting into one of these buns, with my morning cup of tea, brings me right back to that moment. 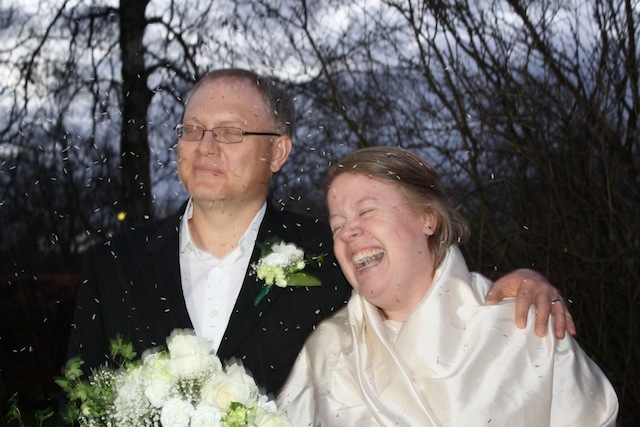 To share that with friends and family, along with the hilarious stories from that trip (We went to Höör!) is so much fun. But to know I nailed another memory? Stellar. Something to ponder: life is short. Anytime you can work some umlauts (ö) into your life, do it. Note: cardamom, especially the freshly ground seeds called for here, has a distinct flavor. If you don’t care for it, simply omit and replace with cinnamon. It won’t be as authentic but I’ll still be good. For the dough: In the bowl of a standing mixer, combine water and yeast; let stand 5 minutes, or until foamy. On low speed with the dough hook, add the eggs, sugar, salt, dry milk and ground cardamom until combined. Gradually add 4 ¼ cups flour, reserving the additional 2 Tablespoons, and mix until a rough dough is formed. Increase the speed to medium-high and continue to work the dough until smooth and elastic, about 5 minutes total. On medium speed, add the 4 Tablespoons of butter, a Tablespoon at a time, mixing until incorporated. About halfway through when it doesn’t look like the butter will work it’s way into the dough, sprinkle in the reserved 2 Tablespoons of flour. Keep mixing until the dough is smooth and elastic. It will be slightly sticky. Remove the dough, lightly oil the bowl and add the dough, turning to coat. 1st rise: Let rise, covered with plastic wrap, in a warm place until doubled in bulk, about 1 hour. Shaping: lightly grease two 10” round cake pans with butter and set aside. Turn out the dough and on lightly floured surface, and roll on a lightly floured surface into a 15” x 20” rectangle. In a small bowl, combine the sugar, salt, cinnamon and ground cardamom seeds. Reserve 2 Tablespoons of this mixture and set aside. From the 20” long side, roll up the dough jelly-roll fashion and pinch the edges along the top to seal. Cut in half and cut each half into 12 pieces, about 1-1 ½” thick. Working with one slice at a time, flatten into a sort of rope shape then roll it flat with a rolling pin. Pick up the strip and give it a few shakes to lengthen, then twist into a rope. 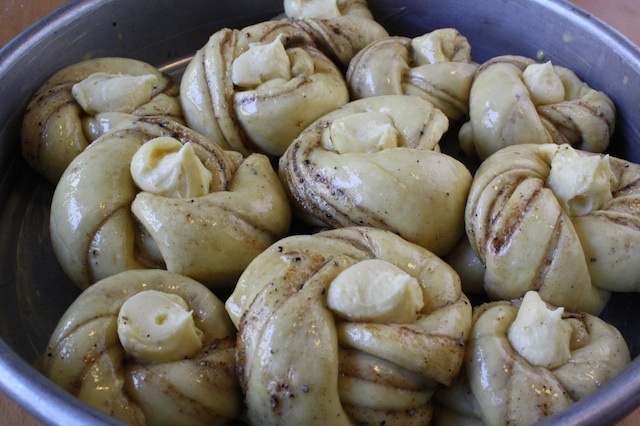 Tie the rope into a loose knot and place in one of the buttered cake pans, leaving space between the rolls. Continue with the remaining strips, filling both pans. Cover with plastic wrap and let rise in a warm place until approximately 1 ½ times in size, about 1-1 ½ hours. While rolls are rising, preheat oven to 350°F and make the pastry cream. For the pastry cream: Heat half-and-half, salt and half the sugar in a heavy-bottomed saucepan over medium heat until simmering, stirring occasionally to dissolve sugar. Meanwhile, whisk egg yolks with the remaining half of sugar in a medium bowl until thoroughly combined. Whisk in cornstarch until combined and mixture is pale yellow and thick, about 30 seconds. When half-and-half mixture reaches full simmer, gradually whisk into the yolk mixture to temper. Return mixture to saucepan, return to simmer over medium heat, whisking constantly, until 3 or 4 bubbles burst on the surface and mixture is thickened and glossy, about 30 seconds. Off heat, whisk in butter and vanilla. Transfer to a bowl and allow to cool, whisking occasionally to release heat. Note: pastry cream can be made up to 48 hours in advance – press plastic wrap directly on surface and refrigerate. Baking: transfer the pastry cream into a pastry bag fitted with a ½”-1” open round tip. Set aside. With one or two fingers, gently make a good sized indentation in the center of each roll. Pipe a few Tablespoons of pastry cream into each indentation. With a pastry brush, lightly brush the tops of the rolls with the egg wash and sprinkle with the reserved cardamom sugar mixture and then with the pearl sugar. Bake in middle of oven until tops are pale golden, about 25 minutes. Let cool on a wire rack. These are best enjoyed the same day they’re baked with a cup of hot tea or coffee. Beautiful! And we love cardamom…will try- thanks! 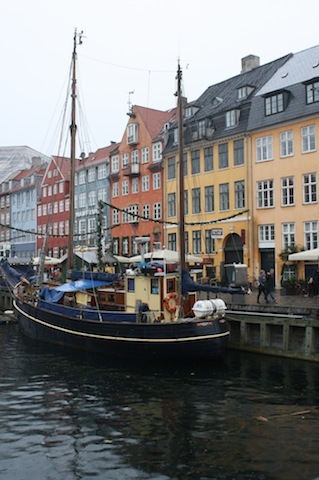 I’ve been dreaming of visiting Scandinavia for years – have quite a few friends living there. 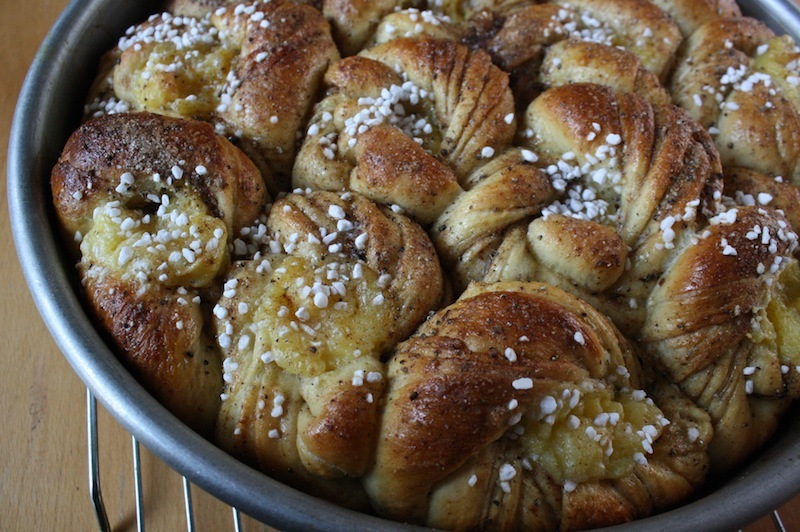 These Swedish buns look SOOO WONDERFUL! I started making these lovely rolls and noticed the ingrient list calls for 4 !/4 c of flour + 2 tbsp and the instructions call for 4 1/2 c flour + 2 tbsp. I’m still working them but wonder which is correct? Ack! Go with the 4 1/4 cups. Sorry about that, it’s been corrected and thanks for letting me know! They turned out so good we had to share them quickly to avoid a carb overload. Yeah! So glad to hear. Thinking I may have to whip up another batch soon. That cardamom is addictive.